Brazilian waxing is not referring to the type of wax that is used. Instead, it refers to the amount of hair that is removed during the waxing session. French waxing is removing everything but the "landing strip"
Basically, it's a complete wax of the entire region, leaving it as hair-free as the day you were born. 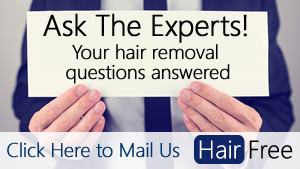 All hair is removed in a single waxing session. Hard wax is applied, allowed to harden and cool, and then removed with the fingers. It's great for those with sensitive skin. Soft wax is heated until it softens to the consistency of honey, and is applied with strips of fabric. It is not as effective at removing shorter, thinner hairs as hard wax, but it's better for covering large patches of the skin at once. For the most part, Brazilian waxers will use soft wax, as it's easier to use on the curves and contours of your swimsuit area. It's a fairly quick, easy method of removing pubic hair, and it does a more complete job. It's fairly costly, and there is a risk of wax burns. ​Instead of using hot wax, a heated paste made of sugar, water, and lemon juice is applied to the area to be treated. It can be ripped off with just the fingers, similar to the way hard wax is removed. It's a bit less painful than a Brazilian, though the truth is that any type of hair removal in that area tends to be a bit uncomfortable. ​You may not get the same smooth feeling you get with a wax, but shaving is a less painful way of getting rid of hair around your Brazilian area. It's hard to do the shaving yourself, as the angles are a bit awkward. Depilatory hair removal creams either burn away the hairs quickly, or they slowly weaken the hairs until they fall out on their own. You want to be very careful to follow the instructions with strong hair removal creams like NAIR, as there is always a risk of chemical burns with depilatory creams. What Happens during a Professional Brazilian Waxing Session at the Clinic? So, you've decided to try a Brazilian wax at your local waxing salon, but you're probably a bit hesitant and unsure of what to expect. Below you can find out everything you need to know about the waxing session. ​When you arrive, you'll be asked to disrobe completely and lie on a table. Your feet will likely be placed in stirrups, giving the waxing technician access to all of the parts to be waxed. Don't worry; everything is completely private! Note: If the hair is too long, your technician may give you a trim to ensure the hair is the right length for the waxing. ​The soft wax will be applied to your skin, and the strips of fabric will be pressed gently into the wax as it hardens. Once it has cooled enough, the strips of fabric will be ripped off. This part will be fairly painful. You'll find that professional waxing technicians are VERY fast, and they'll pour on the wax, apply the fabric, and rip them off with quick hands. The entire session should last less than 30 to 45 minutes from start to finish, and you can be in and out quickly. One very important thing to keep in mind: make sure your technician is VERY clean. The wax should be fresh and clean in order to avoid the spread of disease, and the tools used should also be sanitized. The technician should always wear gloves during the waxing, and the applicator should be brand new. Take an aspirin 30 to 45 minutes before the session. It will not only reduce the pain, but also prevent swelling and irritation after the wax. Schedule it well away from your time of the month. During menstruation, your skin is VERY sensitive, and it will be more painful. Also, your pain threshold is highest between 3 and 5 PM, so that's the best time of day for the appointment. Wear loose clothing after the wax. Tight clothing will rub against the skin, and the friction can lead to pimples, heat rashes, and chafing. Plus, the risk of contact with bacteria is much higher if you wear tight clothing. Use an antibiotic cream to prevent irritation and infection, or consider Aloe Vera Gel. Apply soothing creams (designed for sensitive skin) to the area for a couple of days after the waxing session. Take a shower if the waxed areas are getting itchy or sensitive. Don't go swimming at a pool or beach for up to 24 hours after the session. If you want to save yourself a bit of money, you may want to do your own waxing at home. Your average high quality day spa will charge you between $50 and $100 for a Brazilian waxing. Note: Avoid "too cheap" Brazilian waxes, such as at Korean nail parlors or low-rent spas. They're more of a risk than you should take. The right type of wax. Test the types of wax on the market to see which works best for you. Applicators. Used popsicle sticks are NOT sanitary, so it's good to buy applicators brand new. To begin, heat the wax to the right temperature. You can heat it in the microwave or on the stove, but your best bet is to use a wax warmer. It's far less messy, and it will keep the wax hot throughout. Trim your hair to the right length, and apply a bit of cleaning lotion to the sensitive area to be waxed. Once the wax is ready, apply it to your skin, press the fabric into the wax, and let it cool. Pull the skin around the wax tight as you rip off the fabric. Repeat the waxing for as long as necessary. Finish with a cool shower to reduce the pain and swelling in the treated area. Read Yelp reviews -- Yelp is a great source of information on the quality of service at spas and waxing salons. Read both positive and negative reviews before selecting a single place. Ask your friends -- If any of your girl friends get regular waxes, ask them where they go. A recommendation like this can save you time and money. Make sure that the place is clean, uses sanitized tools, and treats you with dignity - you should feel as comfortable as possible with the people treating you.